My idea of this trip came about in March 2014, just before my replacement flights (Kal Star Aviation and Trigana Air). I was wondering where to go this coming summer, my Korean friend happened to be free around that period so I thought about going there to spend a couple of weeks instead of Taipei. At the same time, I could also do some joyrides over there. Once that was settled, it was all about choosing which airline to fly there. Later on, I had the idea of flying to Japan as the air fares on Vanilla Air and Eastar jet was pretty cheap. Looking at trip reports of others, I made up my mind to go to Japan. But just before I made my decision to fly to Japan, I was considering very hard to book on Air India's round trip on HKG-ICN route which was operated by B787-8 even though the price was a bit steep, $574 for it. However, in the end, I decided not to take the risk as my Cathay Pacific flight which land at Hong Kong around 0510 hrs, I had only 2 hours plus to make it for the Air India flight which would depart at 0810. Any delays from Cathay Pacific side, I would be done and because the air ticket is booked separately, there was no way CX could do anything for me. So instead, I decided to fly up to Osaka, taking my favourite Low Cost Carrier, Peach Aviation! When the time came nearer, my Korean friend informed me that she would be away for a trip to Europe, so I shortened my stay in Korea and would instead spend some days in a city that I wanted to go for a long time! Sapporo, the capital city of Hokkaido! With the cities in mind, I started doing my booking one by one! Once the air tickets and hotels were settled, it was time to relax and wait for the time to come. As I had to work everyday, it was a long wait before the day arrived! The website allows you to check-in at least 48 hours in advance which is important for me since my ticket didn't allow me to select seats when doing the booking. The website was simple to use, but nothing fantastic to be honest. I had some difficulty accessing my booking but eventually I got that sorted out. It was probably the connection problem. Luckily for me, there were some seats available and I choose the window seat near the rear hoping for an empty seat beside mine. On the day itself, I had to work for half a day. It ended at 4.30pm, then I made my way home. Did some last minute packing before I went to the airport. Cathay Pacific's counter was at Terminal 1, so I did a quick check-in before checking what aircraft was I flying on. 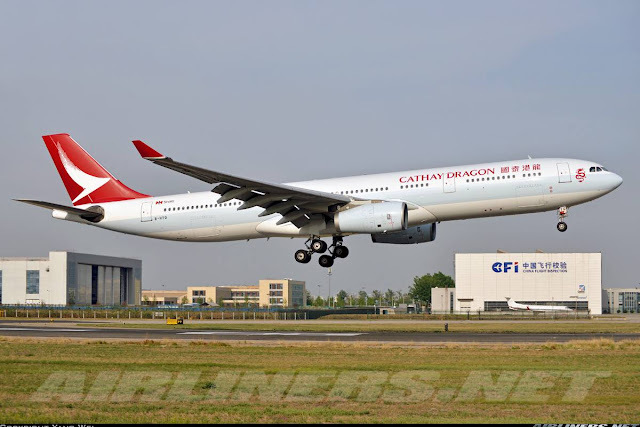 Thanks to flight24radar, I was going to fly on my first CX's Airbus A330, B-HLO, one of the refurbished aircraft. 4 queues for you, choose the right one! I went to the baggage drop-in counter and my check-in process was completed within 5 minutes. Service was average. A decent looking board pass. The number 71 makes me feel like I am flying on a upper deck of a Boeing 747-400. Thanks to flightradar24, I knew my aircraft in advance. I was at the airport pretty early and after check-in, I decided to have dinner at 'Astons', a low-cost restaurant near the viewing gallery, a floor above the check-in counters. My flight departing the next day at 0120 hrs. I had the grill fish for dinner. At the air side, making my way to the gate! The queue was pretty long and it took around 15 minutes to get into the holding room. Somehow I prefer Hong Kong or Helsinki airport and that is to go through security first then head to the gate straight without having to enter a room like this. The airline introduced a new livery (below) on 1st November 2015, what do you think? This was my first time on board the 2nd generation of Economy class which would be used mainly on regional routes. I heard lots of complaints about the seats being uncomfortable and even the crew on board my flight also backed up this fact. I sat down at my assigned seat for the first time and I felt it wasn't too shabby. I could definitely handle a few hours on the seat but for medium haul flights, I wasn't sure about that. This was where I was sitting. Its good to enter the aircraft early, to take as many photos as you can before your seat mate arrives. Personally, I like the ambience of the cabin. Many passengers are still awake despite the late hour. A visit to the toilet! Looks more of a premium economy class seats if you as me. I will have to try this one day. How do you guys find these seats? Let's have a closer look at the Y class product. Disappointed that there wasn't a USB port to charge one's electronic device such as Iphone or Ipad. Screen is kind of small, don't you agree? Yes, a drink holder is definitely useful. The AC socket is at a much convenient location instead of below your seat. The seat belt which is quite heavy, holds you down on to your seat, so you won't have to worry if the aircraft makes a sudden drop (cause by clear air turbulence). The system itself is quite basic comparing to Singapore Airlines, Qatar, Etihad and Emirates. However, the touch screen is responsive and its easy to use. The content may be limited but should be enough for regional or at the most Australian flights. Head set successfully blocks the cabin noise and the sound quality is not bad. Anyway, about 1/4 through the flight, snack meal was served. I noticed not many touched their meal. I was sitting beside a HK girl and she didn't touched hers. Luckily for me, she wasn't bothered with what I was doing, taking photos of the cabin and whatever that interest me. Here are some photos of the snack box! Some may be wondering, why not a hot meal? The question is most of the passengers are Asians and the time difference between Hong Kong and Singapore is the same, so if a hot meal is served, its very likely many were probably skipped and sleep instead and that means waste of food and more importantly - money. A snack box like this is reasonable if you ask me. I couldn't finish everything, I kept the 'pandan' cake to eat on my next flight. As I didn't have the window seat, I didn't take any window shot photos. No point since I wasn't able to capture much while flying in the darkness. The last time I flew with this airline was in 2001. Almost 13 years ago (at the time of writing this trip report), so I would definitely experience a different Cathay Pacific, at least on the hardware side. 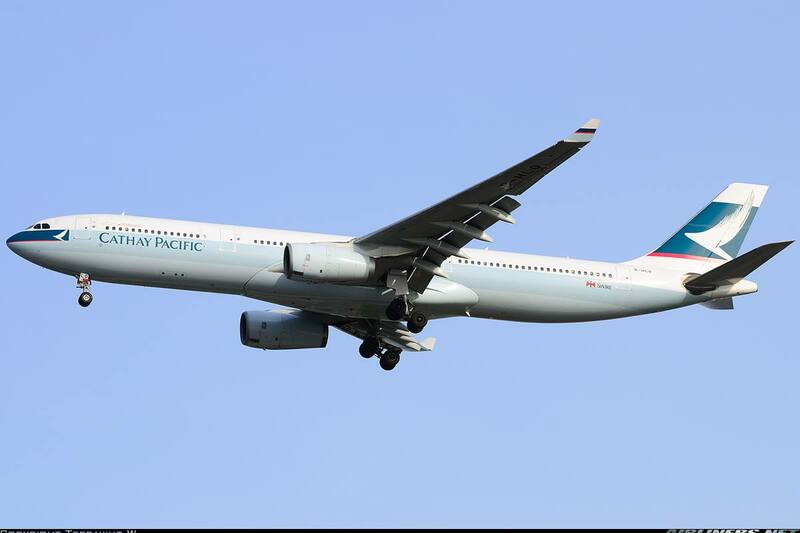 Many compares Cathay Pacific to Singapore Airlines and of course there are differences of how both airlines are operated. 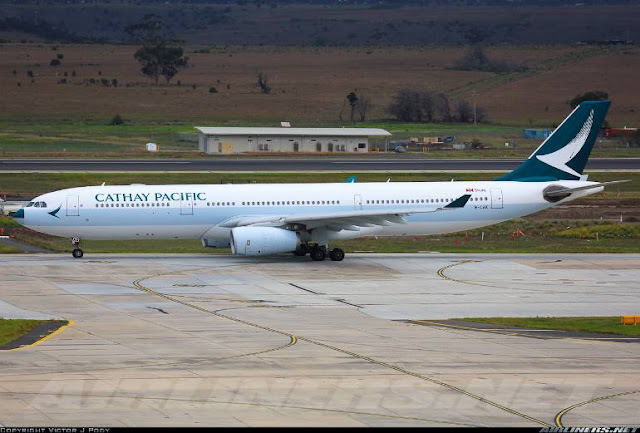 The problem with Cathay Pacific is there are too many different configuration of aircraft types and the schedule aircraft type tends to change more often than other airlines. It can be a good or bad thing for some. While Singapore Airlines rarely changes its aircraft type and passengers get what they paid for. As you know home carrier charges more for the local passengers, so some of us would rather save the money and fly on other carriers. The flight timing may be lousy to some, but I feel that CX714's timing offers the best if you want to make full use of the day in Hong Kong and also connect to afternoon flights to other cities. When I made my booking, this was my only choice to connect to my Peach noon flight. The next available timing is at around 0700, CX650 but it was risky for me if the flight gets delayed. 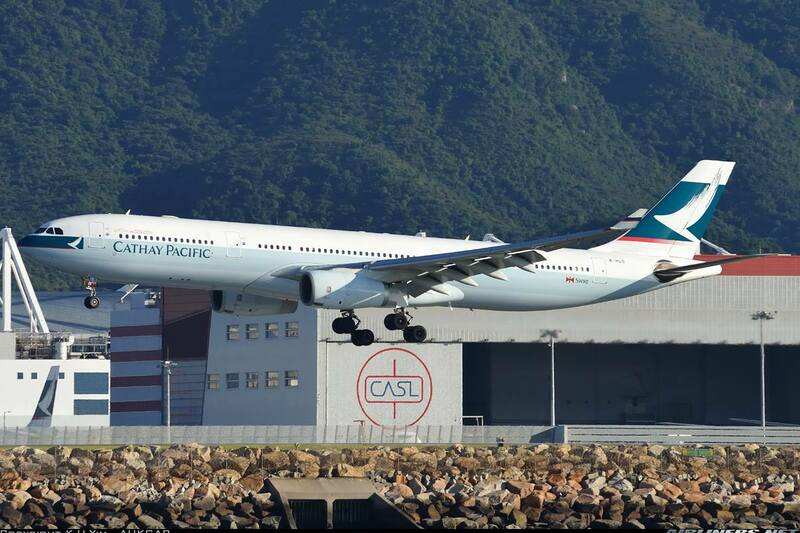 How did I find Cathay Pacific? Yeah, its a good experience. The regional in-flight product may not be the best out there, but the airline is reliable in terms of in-flight service, meals and maintenance of the aircraft. I would definitely recommend this airline to anyone especially for first timers from other parts of the world. Its one of the best airlines in OneWorld alliance, so go ahead and make your booking with this airline. Thank you for reading! Hope you appreciate it and if you have any questions, do leave a comment! It would be better to fly on a different aircraft especially with the airline operating so many A330s!